"Starting with charred fried rice and ending with flaky pineapple tarts, Cheryl Lu-Lien Tan takes us along on a personal journey that most can only fantasize about--an exploration of family history and culture through a mastery of home-cooked dishes. Tan's delectable education through the landscape of Singaporean cuisine teaches us that food is the tie that binds." After growing up in the most food-obsessed city in the world, Cheryl Lu-Lien Tan left home and family at eighteen for America--proof of the rebelliousness of daughters born in the Year of the Tiger. But as a thirtysomething fashion writer in New York, she felt the Singaporean dishes that defined her childhood beginning to call her back. 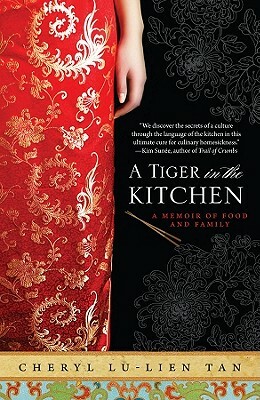 Was it too late to learn the secrets of her grandmothers' and aunties' kitchens, as well as the tumultuous family history that had kept them hidden before In her quest to recreate the dishes of her native Singapore by cooking with her family, Tan learned not only cherished recipes but long-buried stories of past generations. Reading Group Guide available online and included in the eBook. Cheryl Lu-Lien Tan is a New York-based writer who has covered fashion, retail and home design (and written the occasional food story) for the Wall Street Journal. Before that she was the senior fashion writer for In Style magazine and senior arts, entertainment and fashion writer for the Baltimore Sun. Born and raised in Singapore, she crossed the ocean for college in the U.S. after realizing that a) she wanted to be a journalist and b) if she was going to be as mouthy in her work as she was in real life, she'd better not do it in Singapore.